Feb 25 Comments Off on Why Is Your Elbow Swelling Like A Golf Ball? Why Is Your Elbow Swelling Like A Golf Ball? Elbow tendonitis and elbow bursitis – here’s a foolproof guide to tell the difference for sure. 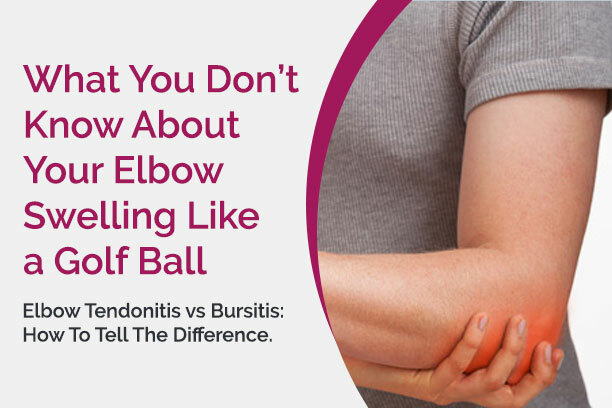 First, what you need to understand is that tendonitis and bursitis are related ailments, and both can result in your elbow swelling like a golf ball. 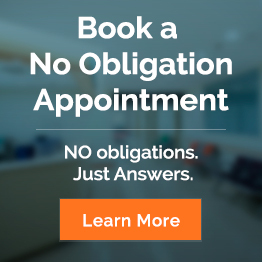 It goes without saying that both tendonitis and bursitis are two of the most commonly diagnosed orthopedic ailments, but the problems begin when these terms are used interchangeably. But rest assured – although these ailments are related, they are by no means the same. And with proper information, you’ll be able to know what to do when your elbow swelling like a golf ball. The origin of this confusion is in the meaning of both terms: they both mean an inflammation of a soft-tissue structure. The symptoms for elbow bursitis are similar but still important to note and recognize as unique. 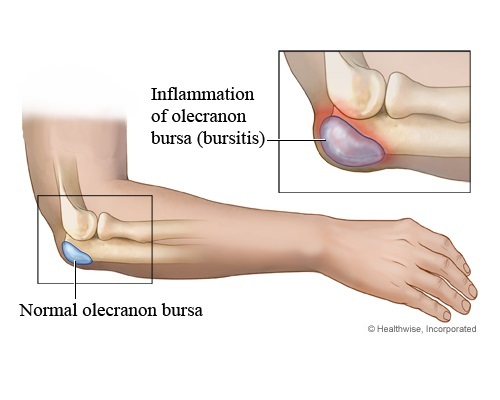 An inflamed bursa will swell up with fluid, resulting in swelling up to 6 or 7cms. The swelling might begin around the elbow but may extend all the way to the forearm. Up to 45% of people with elbow bursitis experience a tenderness in the swollen area. 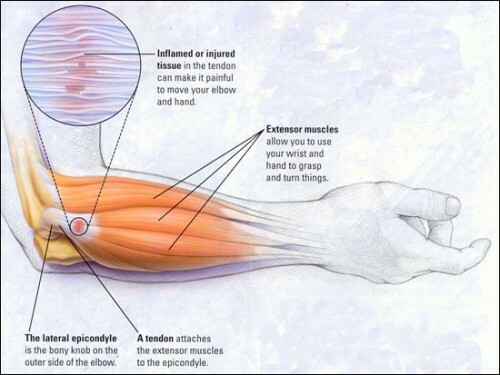 Due to being different conditions, the treatment options for your elbow swelling like a golf ball will depend on the specific problems and their associated symptoms. Nevertheless, the essential component of treatment is to relieve whatever is responsible for the inflammation. This can range from a simple change in your daily activities, or as complex as surgical treatment. It’s safest to begin with the simple steps first, and then escalate from there if need be. Here’s a basic structure to follow in order to alleviate your tendonitis or bursitis. First: rest, rest and more rest! You cannot get better if you don’t start by avoiding the movements that make the situation worse. In plain English: if it hurts you – stop doing it! Yes, that does mean taking a break from your favorite sport or activity for a short period of time but in order to alleviate your elbow swelling like a golf ball, this is necessary. Apply ice: An important yet often ignored step in alleviating the swelling. The ice will help bring the inflammation under control and allow the tendons and bursa to return to their usual state. Anti-inflammatory medications: non-steroidal medications can help ease the painful symptoms as well as reduce any inflammation but do make sure to consult a physician before taking any kind of medication. You wouldn’t try to pull out your own tooth would you? Of course not, that would be ridiculous! So get the expert help you need and start feeling better TODAY. So you can go back to whacking tennis balls, running marathons, arm-wrestling, but really… just go back to feeling better!